Finished version of the WIP I posted day before yesterday. Coloured using watercolour pencils. 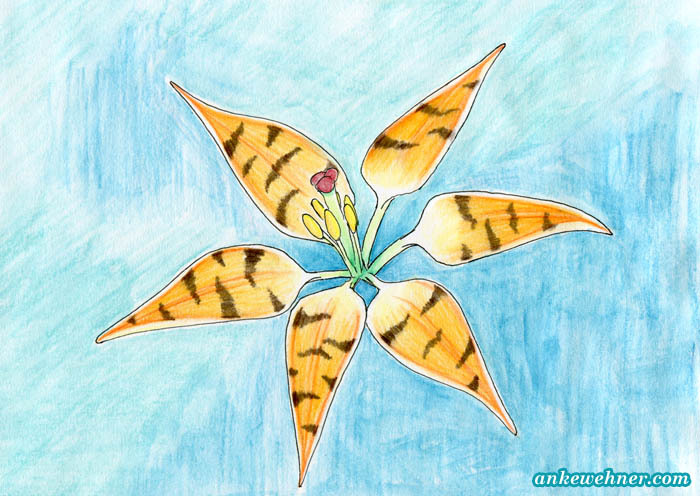 The shape (not the colours) are based on Lilium catesbaei.